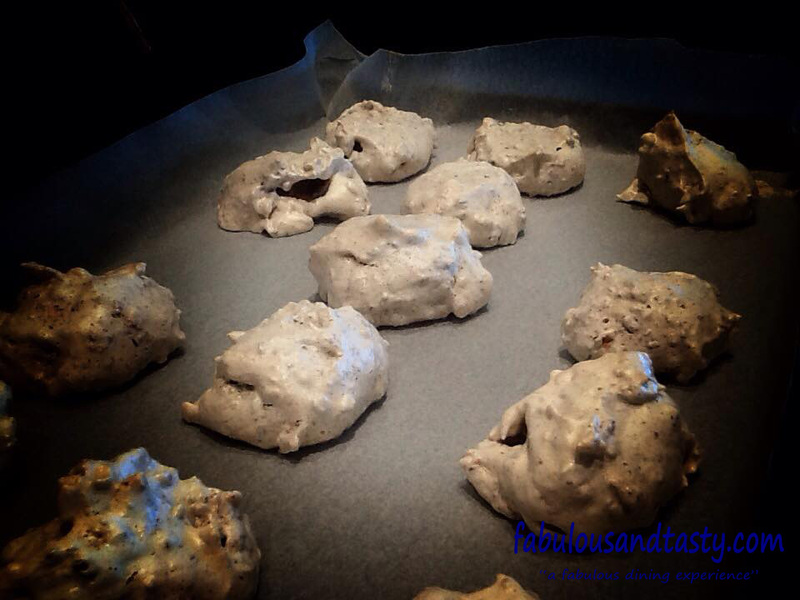 “Brutta ma buoni” – probably the most delicious biscuit in the world ! 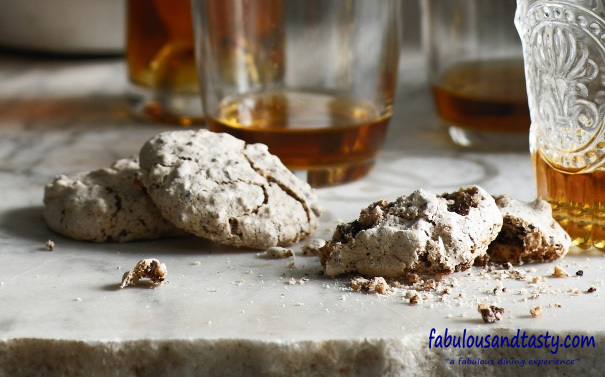 “Brutti ma buoni”, also known as Mandorlati di San Clemente and Brutti ma buoni, is a type of chocolate almond-flavored biscuit made in Prato, central Italy. The name translates to “ugly but good”, damm good ! Good is an understatement, these bite size treats simply melt in the mouth and leave you hanging for more and more. A really quick and simple recipe, anyone can turn their hand to this recipe which takes about 10 minutes to make but 12 hours before you can eat. Preheat your oven to 180deg C and line two baking trays with baking paper. Pulse 100g of roasted hazelnuts with 50g good quality dark chocolate so they are small and chunky. Careful not to over process the nuts or they get really oily. Beat 2 egg-whites with 110g of caster sugar until stick and glossy. Fold in the nuts and presto recipe complete. Now dollop spoonfuls of the mixture onto your baking paper and pop in the oven. Immediately turn off the oven and leave overnight for the biscuits to crisp up. Dust with cocoa powder and devour selfishly ! Tags: biscuits, italian. Bookmark the permalink. I will give them ago….